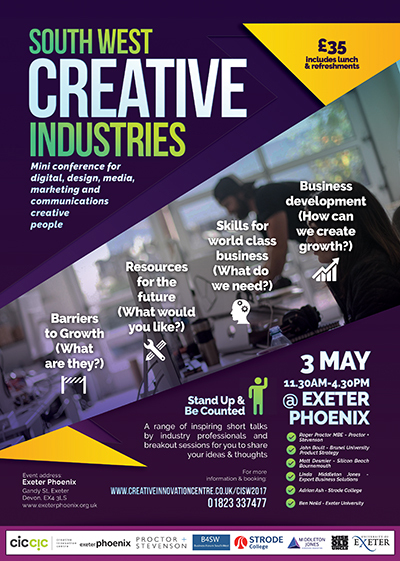 If you are in the creative industries in the South West then this essential mini conference is ideal for you. It will give you the chance to understand today’s landscape and how your ideas can effect the future. The event is designed to discuss the future business needs of the creative industries sector and use your feedback to inform the government’s strategy for investment for the Heart of The South West Local Enterprise Partnership (HOTSW). Business owners, directors, CEO’s of Digital, Media and Communication Design companies in Devon and Somerset.